Mumbai: In what could further delay the resolution of Essar Steel that owes over Rs 45,000 crore to lenders, the SBI-led consortium of creditors on Wednesday rejected the bids by Numetal, an SPV floated by Russian lender VTB Bank and Rewant Ruia, and ArcelorMittal, finding them ineligible under the IBC laws that debar related parties from bidding. The decision to reject both the bids was taken at a meeting of the committee of creditors (CoC) of Essar Steel in Mumbai on Wednesday, a banking source said, adding however, they have voted to allow a second round of bidding for the nearly crippled 10-million tonne-asset at Hazira in Gujarat. "They (Numetal and ArcelorMittal) were found to be ineligible under Section 29 A of the amended IBC. They did not fall under the satisfactory criterion that the defaulting promoters' link should not be there or connected persons should not be there in the new company that is bidding," a banking source told PTI in Mumbai. Numetal and ArcelorMittal were the only two bidders for Essar Steel which owe the banks over Rs 45,000 crore. These companies have put up their bids on 12 February but have since been battling with each other amidst questions about their very eligibility to bid. 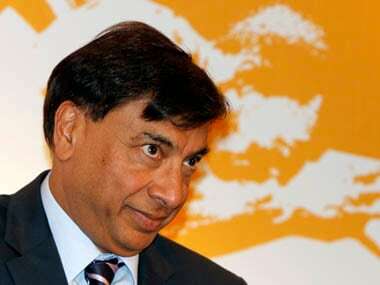 Even though the Luxembourg-based ArcelorMittal has teamed up with Nippon Steel & Sumitomo Metal Corp to bid for Essar Steel, it has been found ineligible for its joint venture with Uttam Galva, which is at the NCLT awaiting resolution now, and Numetal's bid was done in by the fact that one of the promoters of the special purpose vehicle is Rewant Ruia, the son of an Essar Group promoter Ravi Ruia, one of the original promoters of Essar Steel. Bankers, however said if these companies delinked their connection from the promoters or standardise their loans they can bid again in the second round of bidding. 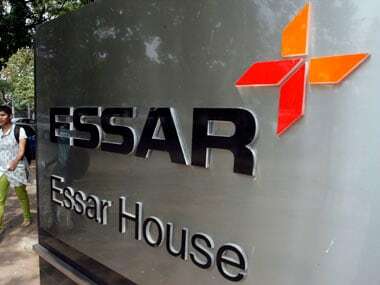 The lenders have set an 2 April deadline for the second round of bidding for Essar Steel that owes over Rs 45,000 crore to over 30 banks and other creditors. But this is unlikely to yield the desired results as biggies like Tata Steel, the Anil Aggrawal-led Vedanta and JSW Steel have reportedly decided against bidding for Essar Steel. The shareholders of the Mauritius-based Numetal, a special purpose vehicle that focuses on steel and infra space along with manufacturing, are VTB Capital, the PE arm of the Russian state-owned lender VTB Bank and Aurora Trusts in which Rewant Ruia is a beneficiary and owns 25 percent. The other promoters include the Russian steel and engineering major TyazhPromExports (TPE) and Indo International, a Dubai-based metals trading firm promoted by an NRI. VTB Capital owns majority in Numetal. Bids of these firms were evaluated by resolution professional Satish Kumar Gupta, along with risk advisory Grant Thornton and law firm Cyril Amarchand Mangaldas. The rejection comes a day after Numetal moved the Ahmedabad NCLT seeking to declare its eligibility, as it apprehended that all the full facts it submitted to the RP were not assessed properly. Earlier in the day, Numetal in a statement had said it had filed an application the Ahemdabad bench of NCLT to declare its elegibility as it "apprehends that full facts submitted by it for eligibility to submit a resolution plan have not been appropriately assessed by the RP." An industry observer said following the rejection of its bid, Numetal may ask Rewant Ruia to exit the firm, something that the company was anyway ready to do. "If public perception is a challenge because of the presence of Rewant Ruia in Numetal or his minority investment in the company, we are ready to change that," Antoine Chemali, a senior advisor at Numetal Mauritius, had told PTI last week. "We've already spoken to him (Rewant) and are ready to do whatever it takes us to win the Essar Steel bid. We, the rest of the shareholders, are ready to buy out his minority stake from Numetal," Chemali added. But he was quick to point out that Rewant did not have any say in the management of Numetal or enjoyed a board position. And an Essar Group official also told PTI that Rewant had resigned from the Essar Steel way back in 2012, and thus in no way was related to the Essar Steel promoters now. It can be noted that both Numetal and ArcelorMittal had threatened to challenge NCLT and RP in higher courts if their bids were rejected, forcing government to recently hint that it was amenable to make more changes to Section 29 of the IBC Act to redefine "connected/related parties" to exclude only original promoters who are defaulters from bidding for an asset that has gone to kaput and went to the bankruptcy court. The move is to distinguish between the promoters of defaulting companies that don't have a managerial role from those who also manage the stressed assets. 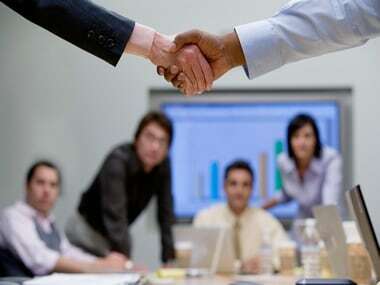 As per media reports, the corporate affairs ministry is considering two amendments to change the definition of "connected people" as per the IBC Code. Now, a promoter or investor in a defaulter is not eligible to participate in the auction of stressed assets referred to NCLT. As per the IBC code, bids should be presented to the committee of creditors at least a month before the deadline, which in the case of Essar Steel is 29 April. 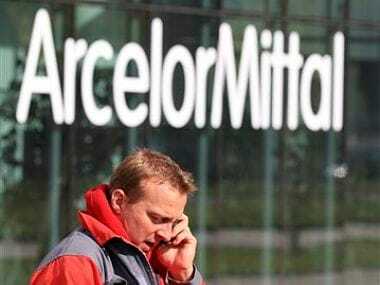 The Mittals have also reportedly offered to pay 50 per cent of its dues to lenders so that it becomes eligible to bid, something the new Section 29 A allows.